Take on the challenge of our ponds, streams and famous cliff-hanging 18th hole to test your golfing skills in a relaxed and stunning setting. 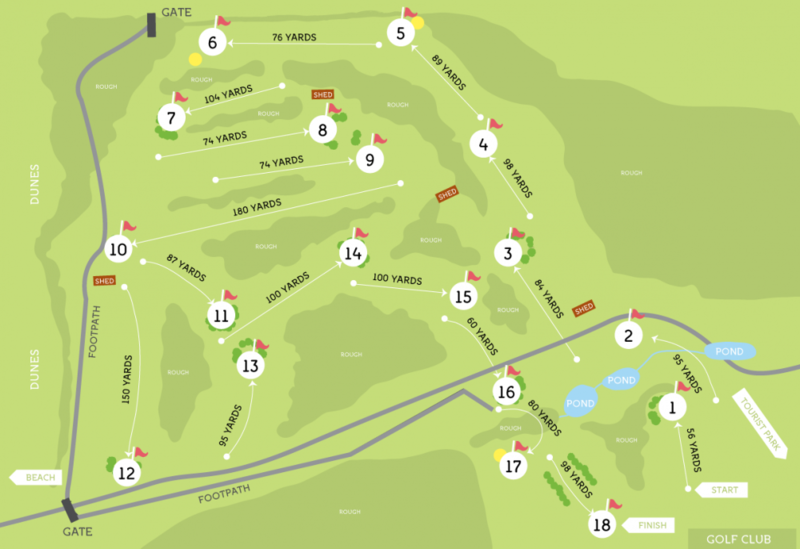 We are justifiably proud to be considered by many as the number one Pitch and Putt Course in the South West. With 18 holes of challenging fairways and well-kept greens, this is a different way to play Golf. 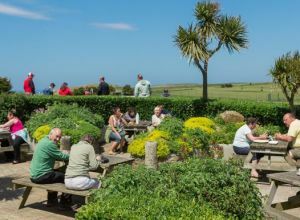 At Holywell Bay, there’s no dress code and a friendly, welcoming atmosphere. 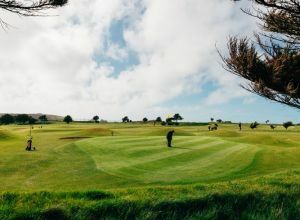 Whether you are looking for a day out with the kids, learning to play golf or part of a group, Holywell Bay Pitch and Putt Golf Course is an entertaining and enjoyable day out for all. 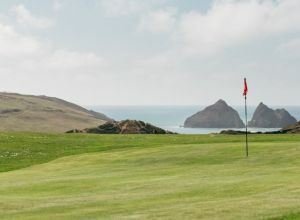 Open all year round, Holywell Bay Pitch and Putt is located just 4 miles from Newquay and enjoys breathtaking views over the rolling sand dunes at Holywell Bay. There’s also a comfortable on-site bar & restaurant serving a wide range of snacks and beverages during peak times. Club hire is included in the price and no booking is required. Please note, clubs may not be shared on the Pitch and Putt Course.